Looking for a turnkey, packaged softening or filtration option? Specify a Water Control Accu-Pipe skid system. Once delivered to the jobsite, the contractors simply connect a water inlet, water outlet, drain, and power supply. It’s as simple as that! Water Control’s experienced design team can take care of water testing, system design, drawing (CAD® or Revit®), specification writing, and budgeting. After the system is shipped or delivered, our Service Technicians will travel to the site for system setup, commissioning, and training. 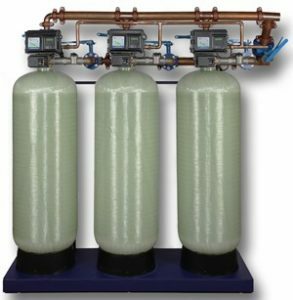 Need help with a commercial water softening application? Click the Rep Locator in the side bar to locate a local Water Control representative.